The Chartpak Rapidesign Large Circle Template includes 45 large circles with diameters ranging from 1/16" to 2-1/4" in varying increasing increments. 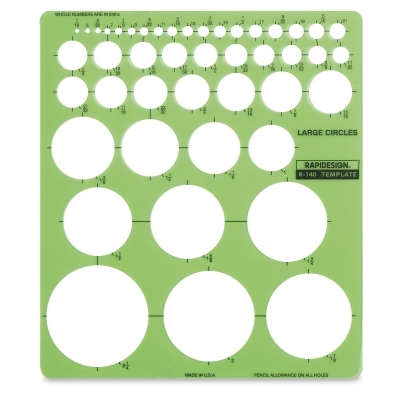 All the circles have a pencil allowance and printed centering lines. Made in the USA. ® Chartpak is a registered trademark.® Rapidesign is a registered trademark.